Did you ever pretend to be at your wedding when you were growing up? You know who you are - you put on a white dress (or any dress you had in your closet), grabbed some flowers, and had all of your stuffed animals lined up as an audience as you walked down the aisle. We know you did, but don’t worry, your secret is safe with us. Just because you played dress up for your future wedding doesn’t mean that you were all that excited about marriage itself. It just means you like to throw a mean party that has you as the guest of honor, right? Well, what if you could play dress up for your wedding now, but maybe it would be a little darker? Maybe, perhaps, zombie-fied? Well, you’re in luck! We have just the costume for you. 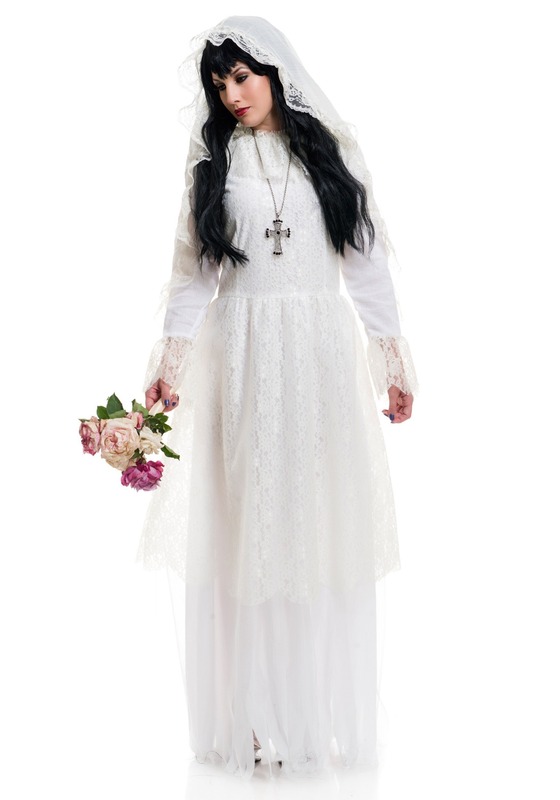 This nightshade bride costume is the perfect costume for Halloween. Think of all the lucky potential suitors you’ll meet! This white dress has a Velcro closure in the back for a comfortable fit. The dress has a lace overlay throughout as well as a mesh layer in the skirt for an elegant appearance. The lace veil will transform you into the bride you were meant to be! 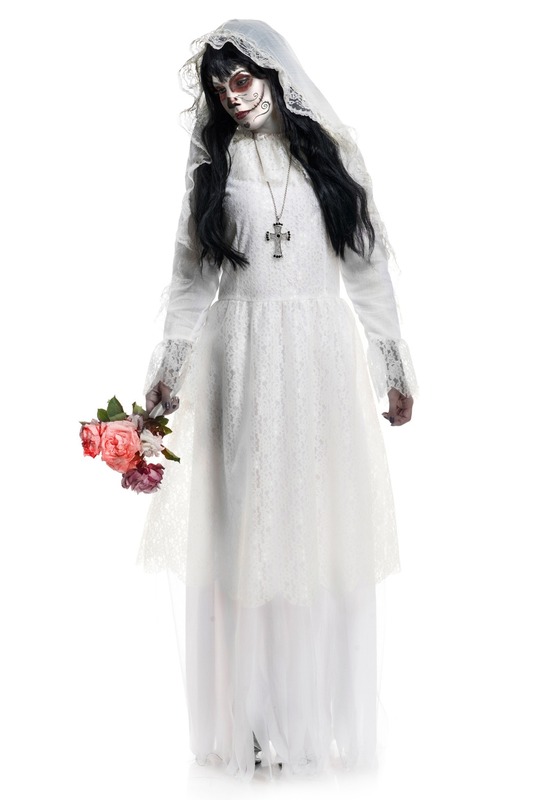 Don’t forget to add some Day of the Dead makeup and a bouquet to really get this bride costume ready for your undead wedding!